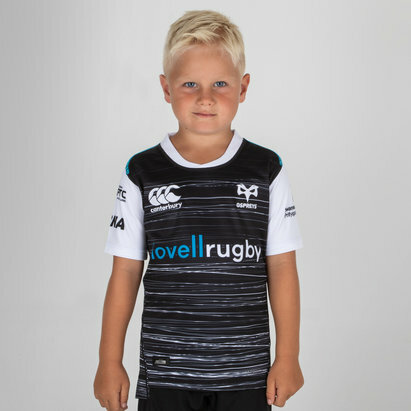 Hit the Liberty Stadium in those famous white and black colours this season with this Ospreys 18/19 3rd S/S Pro Rugby Shirt. 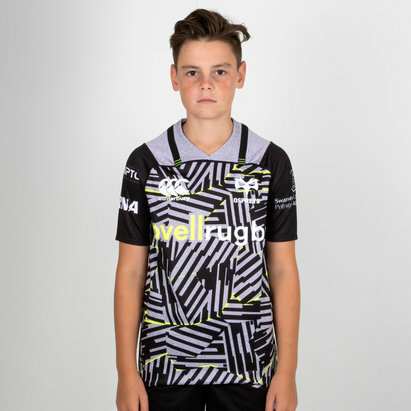 This 3rd shirt is black an grey as the zig-zag, striped pattern dominates it. 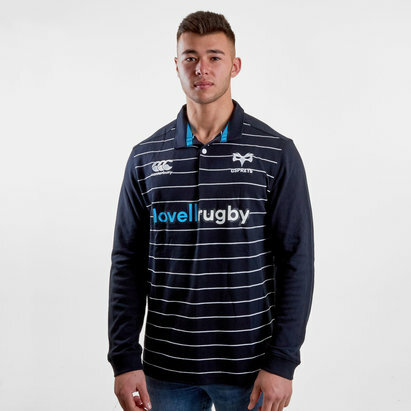 The shoulders are black whilst the collar is grey with a black stripe. 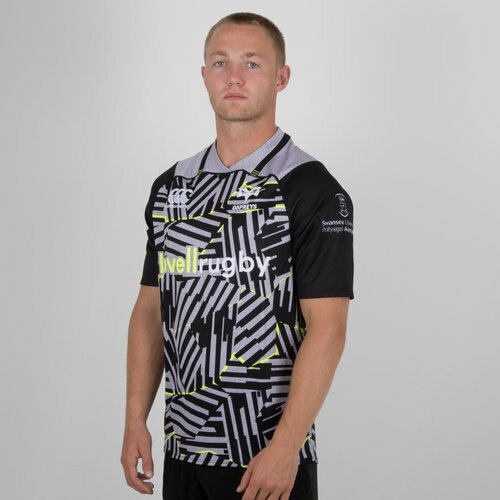 The shirt features a small amount of yellow in and around the pattern. The CCC logo is on the right whilst the club badge is on the left. 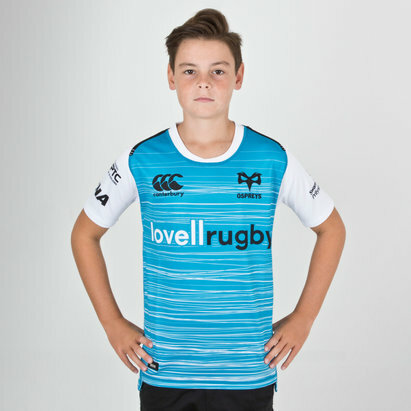 The club's sponsor - Lovell Rugby - is across the middle is yellow and white to match the colour scheme.